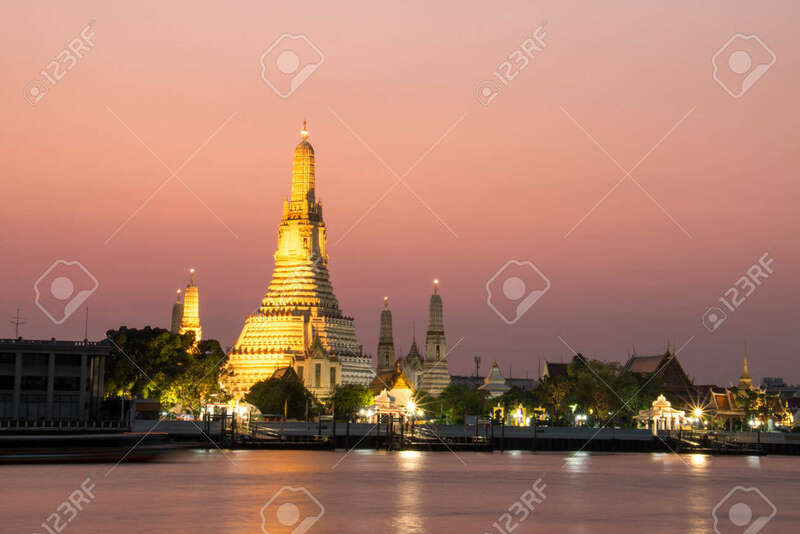 Wat Arun Temple At Twilight In Bangkok, Thailand. Stock Photo, Picture And Royalty Free Image. Image 99363437.